What job would your cat be good at? This was a question posed to me by Whiskas recently, and I had no problem in coming up with the perfect career for my little fluff balls. They are ridiculously good at it already, and so to actually make money for doing it would be ideal. I had to look up the name for it, but apparently it does exist – my cats would be brilliant at working in a confined space. My cats are much like other cats, in that they lounge around, allow you to pet them when they fancy it, and otherwise live their own independent day until tea time, when they purr and twist themselves around your legs until you go and feed them. 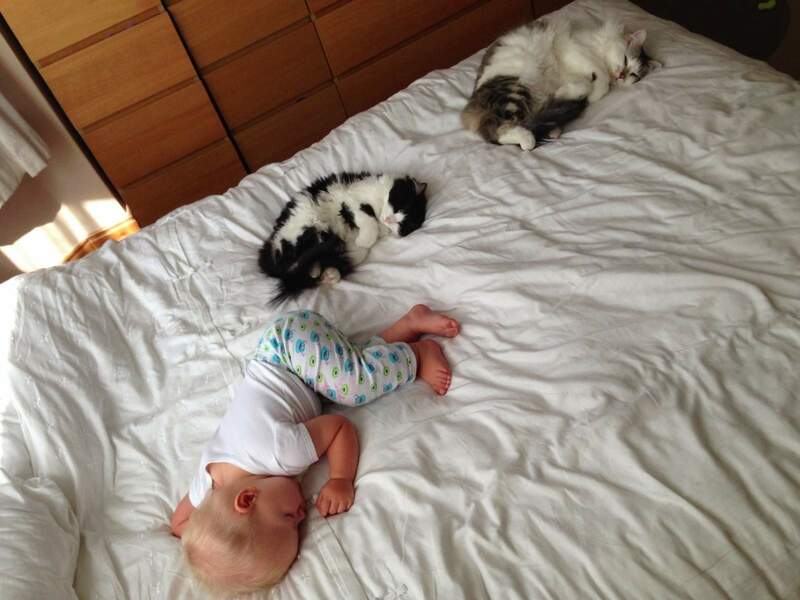 They don’t eat kitten food anymore, but I’m sure it had something to do with helping their development when they were tiny. However, they do have a skill that they have practised over the years and now I’d consider them experts. You’ll see why, further down this post. I’ll start with a cute photo, so you can see they’re standard-sized fluffy cats, not freakishly small even though they can get into some tight spots. Ok, so you can see, they’re normal adult cats. However, they do like to get into some “confined spaces”. 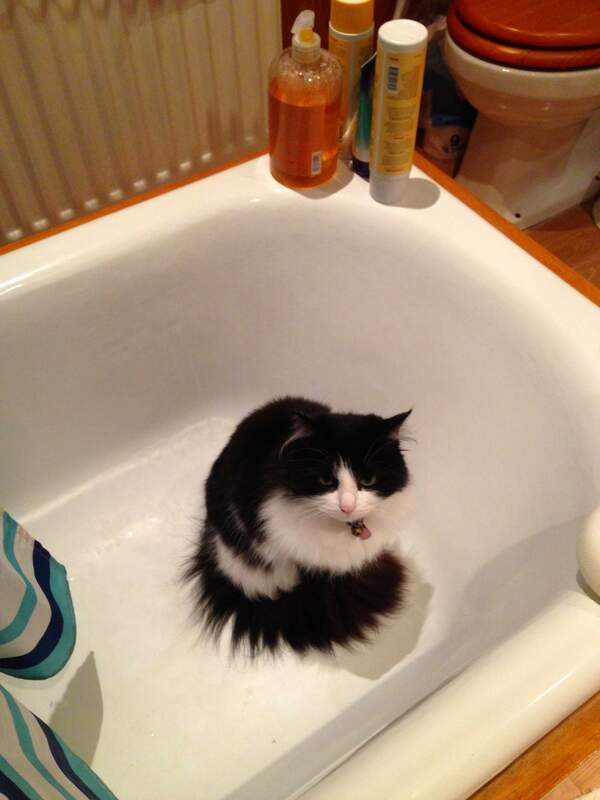 That’s Rosie in the bath. She wasn’t trying particularly hard, just sitting in a smallish space. She, and her brother, can do better. When I was a child, one of my favourite poems was “My cat likes to hide in boxes” and it’s absolutely true; my cat really does like to hide in boxes. Charlie in a bin. 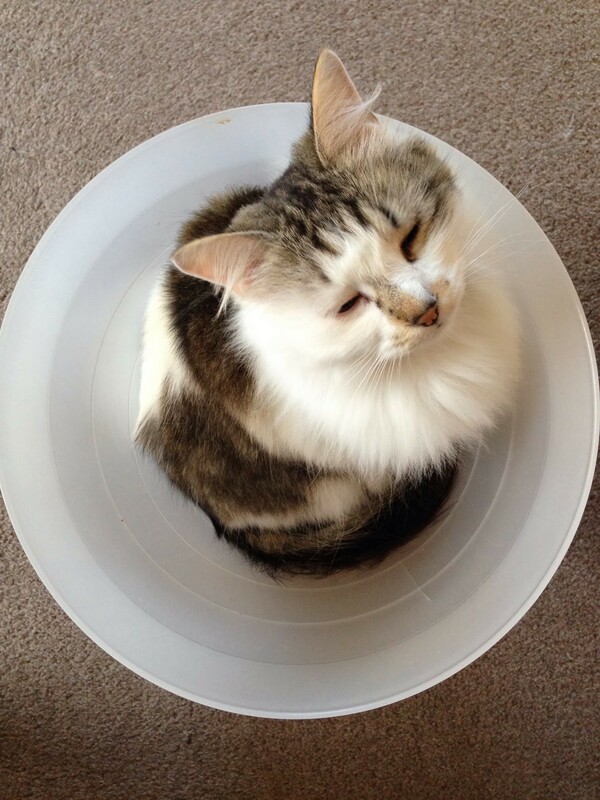 How scandalous – a cat in a bin! At least this one isn’t a wheelie bin, and he put himself in there. 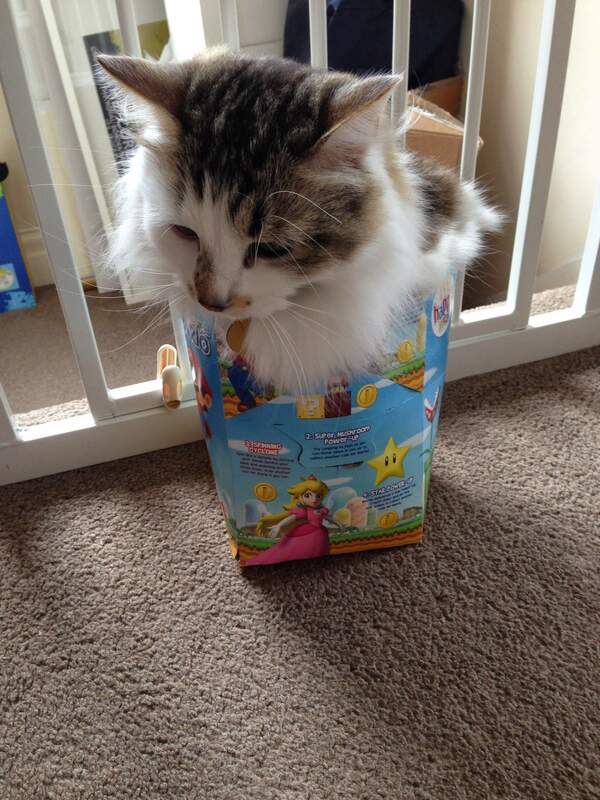 And now for the ultimate in confined space working, here is my silly cat in an empty McDonald’s Happy Meal box. Can you believe it? Also, the look on his face! 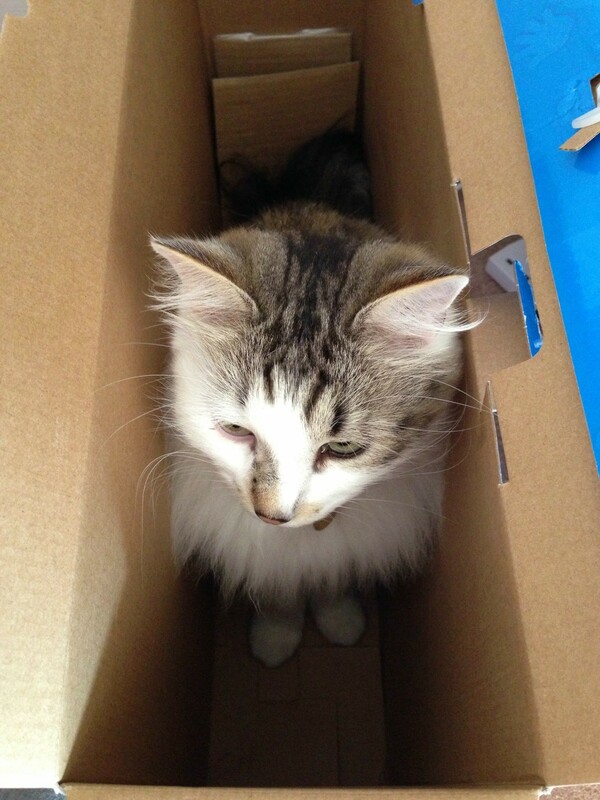 Like, “go away, I am trying to enjoy my box!” Haha! My silly cats are perfect for the job of confined space working. Every cat is individual and special – it’s what makes them such great pets. This is highlighted in Whiskas adorable Kitten Kollege videos on the YouTube channel. This post is a collaboration with WHISKAS, but all thoughts and silly cats in this post are my own. Check out their website for more information on their cat food and their YouTube channel for fantastically cute Kitten Kollege videos.